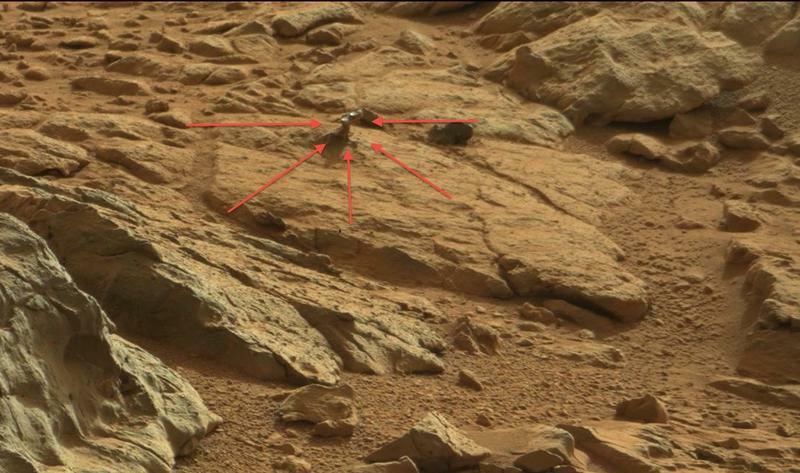 Did the Mars Curiosity Rover Snap a Picture of Some Weird Alien Metal? Out on Mars, thousands of miles away, NASA's Curiosity is doing its thing, roaming, zapping and even capturing MySpace self-portraits. And on its quest to uncover the mysteries that lie below the Red Planet's surface, the rover has come across a weird metallic object jutting out of a rock. It looks like a lever to a secret martian underworld. Do we dare open it? In the full resolution image provided by NASA, the protruding object definitely has a different makeup in comparison to the surrounding rocks. It almost looks like a buried joystick—yeah, I'm going with that. It's a buried joystick to an ancient spacecraft that crash landed on Mars millions of years ago. Curiosity has previously spotted strange objects that have turned out to be of alien origin, making this very interesting indeed. Really, it could be anything; the likeliest of scenarios is that it's a piece of the rock itself. 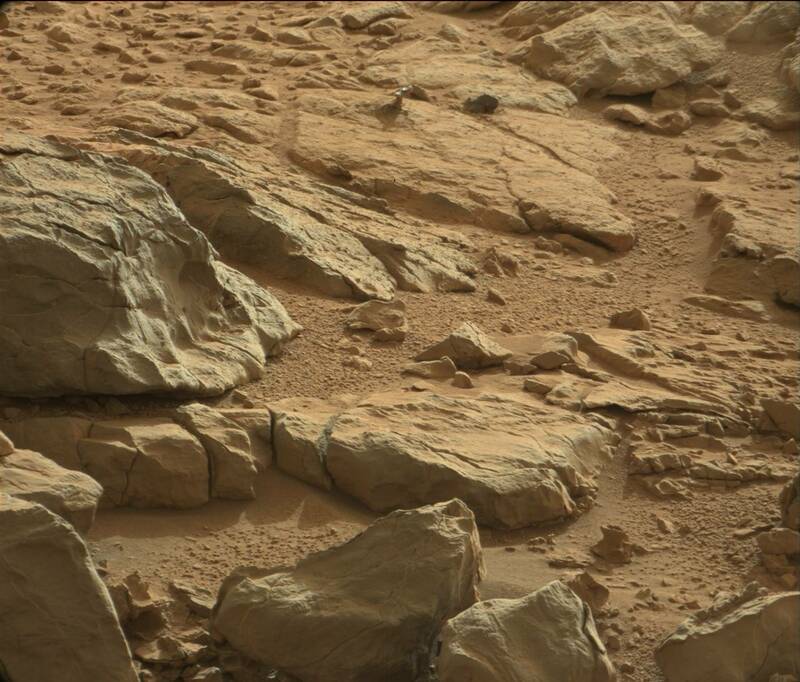 Or perhaps light entered Curiosity's camera in such a way that makes the rock appear different. One report suggests it could have "grown" out of the rock, which is a suggestion I cannot even fathom. As Curiosity continues on its Mars conquest, hopefully it can provide more concrete information on what the heck that shiny object is.